This entry was posted in Haiku 2015, Photographs, Poems 2015 and tagged nature, turkey vulture, weekly-photo-challenge. Bookmark the permalink. 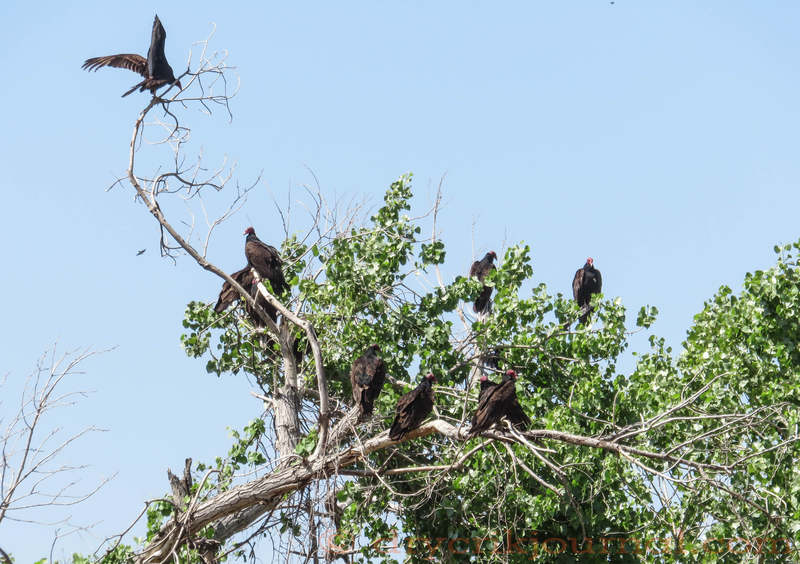 Turkey vultures certainly look a lot bigger on your windshield than up on a branch . . . Like a ‘near`death’ experience . . .
Amazing bird, being able to smell carrion a mile away. Good pic of the “wake”. As a young boy, I did not believe my father when he suggested that perhaps the buzzards could smell carrion. Of course he was right. Amazing how smart our parents got as we grew older.